Women go into extreme nesting mode while they are pregnant. Everything needs a home, the nursery should be perfect and nothing out of place. That wasn’t the case for me. Of course I would love for everything to be in its place but with living between 2 states and a toddler it just wasn’t going to happen for me. I have a nesting mode part 2 which is when my babies become mobile. Having clean floors is an obsession when my babies start to crawl. We wear our shoes throughout the house, we have a dog that opens the door on his own from when he is outside and the floors just get dirty, even when they are mopped once a week. I was thrilled to be able to work with America’s Best Carpet & Tile to get area rugs and tile cleaned. 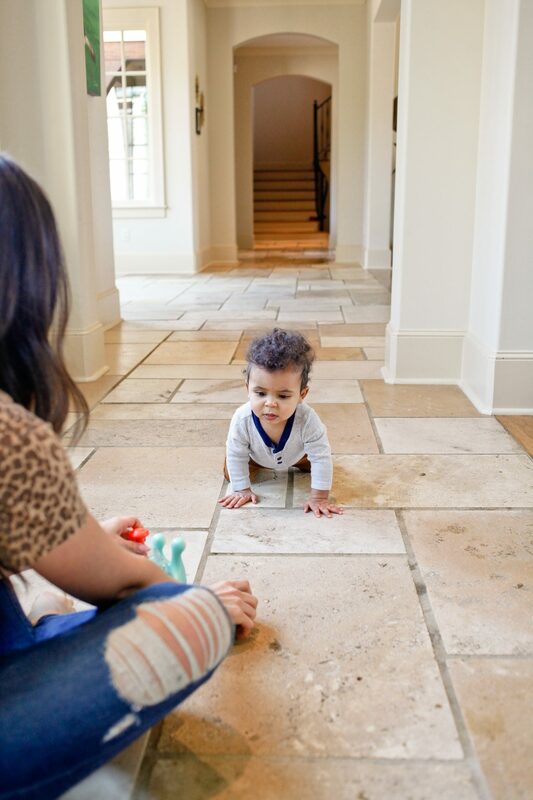 We stop and drop to play anywhere in the house and our tiled hall is filled with natural light and Noah and I often chase Myles up and down this area and end up on the floor. We have a small nook that has a rug and some baby toys that the kids end up on but now that Noah is a pro crawler he is off that rug in a second and on to the tile floor. Having clean floors is so important with little ones, Noah puts everything in his mouth, including his fingers so to know the floors are clean gives me a small piece of mind. Like I mentioned before, the toddler, the baby and the dog means sticky hands, spit up and mud are all common yucky things that end up on our floors. 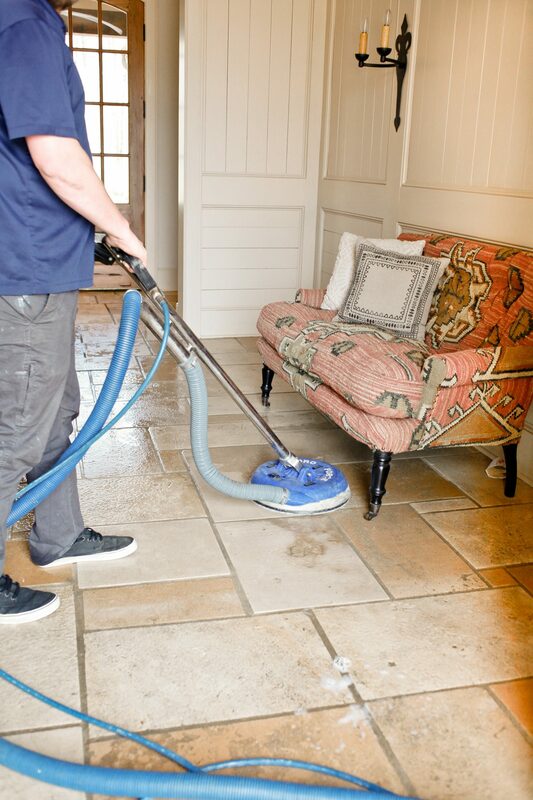 Every once in a while to get our floors and rugs professionally cleaned is a must. Ever since America’s Best Carpet & Tile came to my house I have been obsessed with looking at the floors. Our tile is so crisp and clean and there is not a spec on our area rugs. 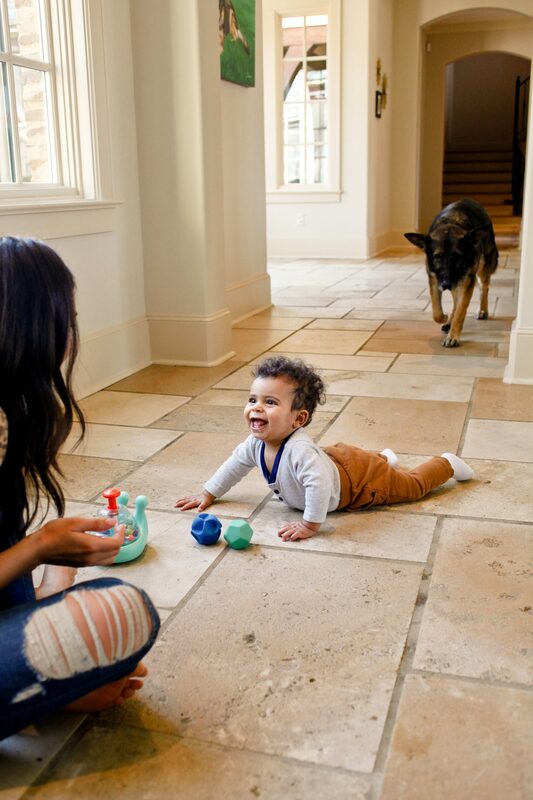 I am loving our clean floors and my babies are too! 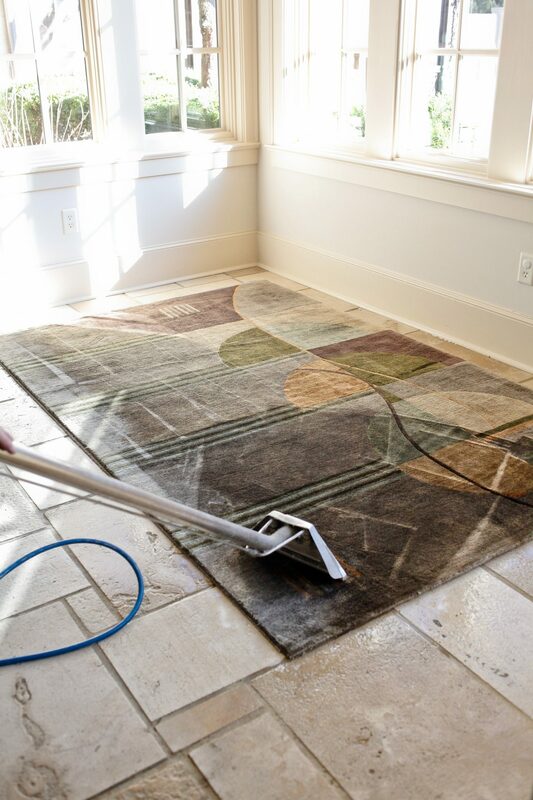 Spring cleaning is just around the corner so it is the perfect time to get your tile and rugs professionaly cleaned. Enter below for a chance to win a 3 room floor cleaning (carpet or tile) from America’s Best Carpet & Tile! This post is in collaboration with America’s Best Carpet & Tile. As always, all opinions are my own. I desperately need my floors cleaned professionally. We’ve only been able to professionally get the carpets cleaned once right before we moved in and now we need it badly! We haven’t been able to buy new carpets or flooring yet since we moved so this would be amazing for us. 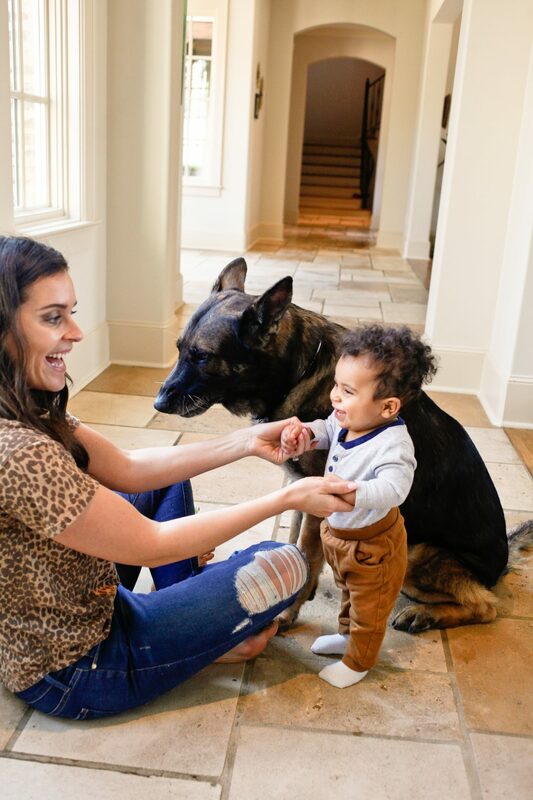 We just had our third child in December and with the two other littles running around, plus two german shepherds, we could desperately use a good floor cleaning. Love following your blog and Instagram! I totally understand you. It’s amazing how quickly they get dirty and you have an extra child and dog compared to me! What a great giveaway! So glad you are doing this. I literally feel like I can’t keep our floors clean enough now that my baby is crawling all over the place. I feel the same way! Babies really open your eyes to things! Plus we spend more time on the floor ourselves haha! I need my floors to shine like yours. Just a task that I put off but with kids & dogs it can’t be ignored. Thanks for a great giveaway. We have 5 people in our house and it gets messy! Mopping and vacuuming can only do so much. We could definitely use some professionals. I could definitely use some carpet cleaning with a dog and a cat! It seems like the fur never goes away!